One World Play Project to Donate Indestructible Futbols to Nablus! Home → 2015 → One World Play Project to Donate Indestructible Futbols to Nablus! 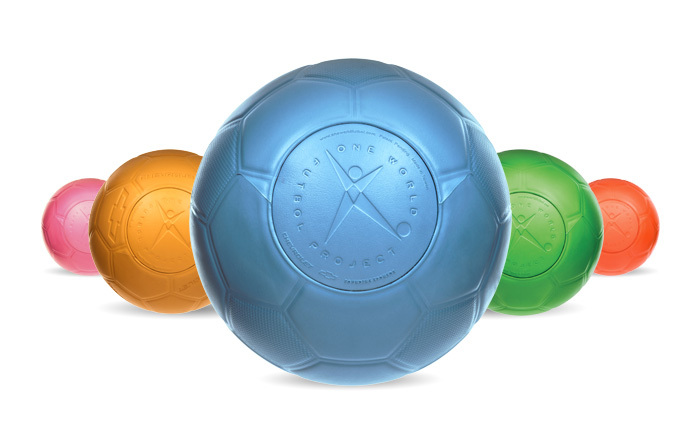 One World Play Project has designed indestructible and non-deflatable futbols (soccer balls). The ultra-durable One World Futbol never needs a pump and never goes flat. The ball can withstand the toughest environments in the world and last for years without maintenance. A single One World Futbol can outlast hundreds of regular soccer balls, eliminating pumps and needles and the waste of worn-out balls. It’s the same size and weight as a standard soccer ball but can also be used for other games. The One World Futbol is designed with lesser bounce for hard surfaces like streets, rocky landscapes, and dirt lots—but it’s great on sand and turf too. We offer two sizes—an adult size 5 and a youth size 4. For every ball that is purchased, they donate a second ball to organizations working with youth in disadvantaged communities worldwide. With your help, they are bringing the transformative power of play to millions of children who need it most. The Boulder-Nablus Sister City Project applied for a donation of balls for our partners in Nablus. We were recently notified that a shipment is being prepared of indestructible soccer balls that will be divided amongst over 30 agencies throughout Nablus. These agencies work to serve the needs of children and families in the most under-served neighborhoods of Nablus. We are deeply grateful to One World Play Project for this opportunity to share futbols with the children of Nablus!